Day 2: Dell Vostro v130–Clients Calling. Took the Vostro v130 out on the road with me. A visit to a client which involved rebuilding a Dell Precision M6300 as well as sorting out some strange stalling errors on a recently installed Vostro 3300. The rebuild on the M6300 was an straight forward affair . When ordering Dell kit I ensure it comes with recovery media. Every Laptop and Desktop delivered to a client site is configured and delivered to the Employee. The recovery media ( CDs, USBs etc ) are placed into a A4 zip lock bag and the name of the Laptop, its Dell Service TAG and its installation date are written on the outside .These are stored in a Drawer in the Server room and every year when old laptops are decommissioned the filing system comes into its own as I can rebuild and blank the laptops ready for sale to the employees. Incidentally Dell can we have the Reinstall and Driver media on a bootable USB key from now on please ? The Vostro 3300 was suffering from a strange memory eating issue after the Employee had installed Nokia OVI Suite onto their Windows 7 Pro after removing OVI Suite and rerunning Comodo Anti Virus it all appears good. 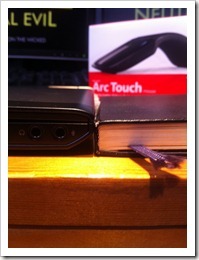 Both occasions gave me a chance to pull out the Vostro V130 andget the clients impressions on the laptop. 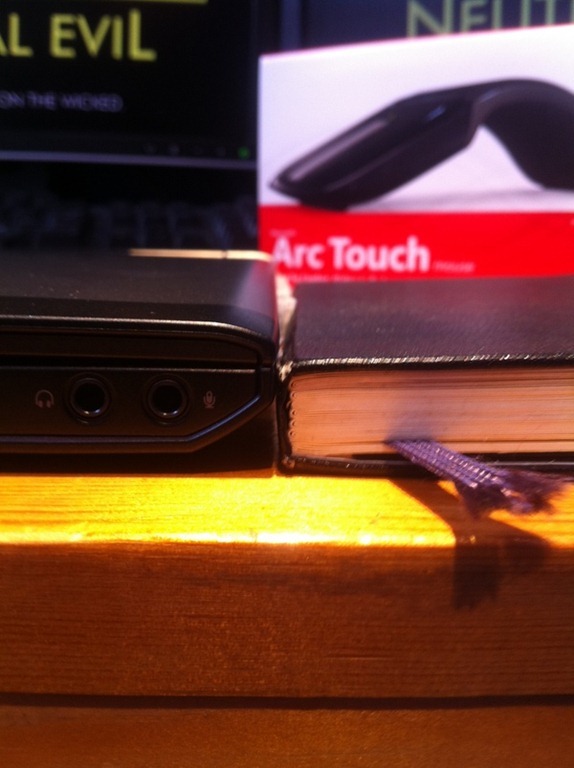 More clients tomorrow and hopefully I can get some video conversations on Friday but for now enjoy the wonderful skinny profile of the Vostro vs my Moleskine.